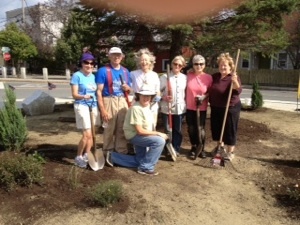 Randolph Garden Club plants and maintains gardens in public areas around the town of Randolph. The club founded, funded and placed (with contributions from the Town of Randolph) the flower baskets that have brightened up Main Street all summer and into the fall for many years. 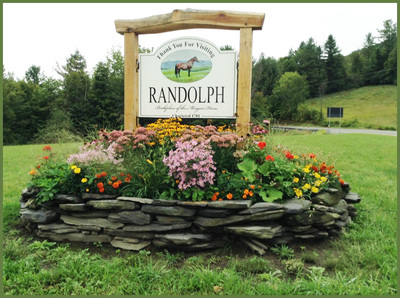 Now this project has been taken up by the Town of Randolph with sincere appreciation from Randolph Garden Club and our community. Whether it's part of our Blue Star Memorial, placing and maintaining ornamental plants at Gifford Medical Center for the patients to enjoy, or seeking a grant to implement landscaping at a recent Habitat for Humanity housing project in Randolph, the Randolph Garden Club gives back to its community in numerous ways. 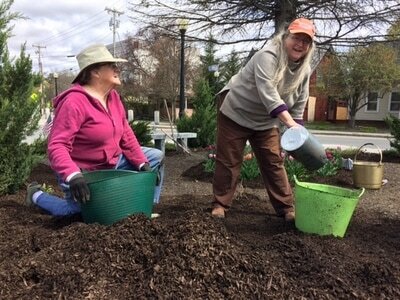 The club funds a $1,000 scholarship to a student at Vermont Tech working toward a degree in Landscape Development and Sustainable Horticulture. Most of the funding comes from our annual Plant Sale, a great opportunity to buy great plants for your garden and support a student working toward a 'green' degree.